As most MTD people will now be aware, in 2014 we will release a totally new truck to the market. The new FH represents 5 years of design and planning and more than 20 years of operating experience from the truck we now call the ‘classic FH’. This is almost completely new truck (we retain existing engines, transmissions and differentials) and will offer a host of ground breaking technology which we expect to further reduce our customers total cost of ownership. The new FH focusses heavily on driver comfort as a key to ensuring operators attract the best drivers available. The truck also features a larger internal cab space (1 cubic metre) larger than the classic. Great emphasis on exterior design ensure we will continue to lead the market with fuel efficiency. The ability to upload software and make parameter changes to vehicles will be able to be completed remotely meaning some jobs can be completed without the truck ever leaving the road. The key here is to ensure maximum uptime so owners can earn more from their investment. The MTD sales team has already seen the new truck and further product training will follow later this year. Late in 2013 two units will arrive as ‘pre production’ trucks. These will be used for sales training, technician training and network branch visits. 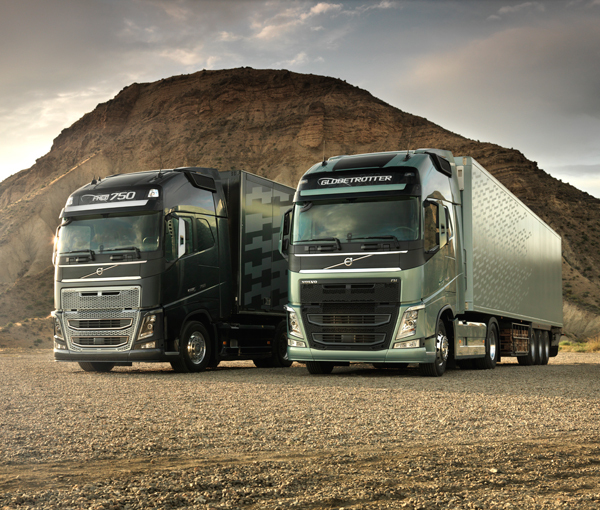 We expect production units to arrive in the second quarter of 2014. In the mean time we have an incredibly reliable ‘classic’ FH and we intend to maximise this truck well into 2014 before we release the new truck. Much work is being done to ensure we can obtain sufficient stock of the classic as there will be a period of transition as the factory in Brisbane moves from one model to the next. The new FH will be available in both 13 and 16 litre options with the latter FH16 taking a significantly different and ‘premium’ look which sets it apart from the 13lt models.